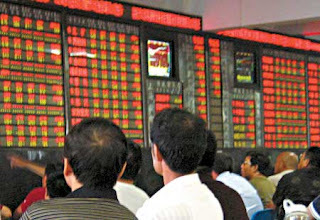 The Shanghai and Shenzhen markets overtook Hong Kong on Monday while the market was closed, according to figures on the Stock Exchange of Hong Kong website, and maintained that position after it resumed trading yesterday…The market capitalisation of the mainland markets reached $1,800bn yesterday, overtaking Hong Kong’s $1,772bn at the time of closing according to the Financial Times. More money are being raised in china than anywhere else in asia these days. The good news from every sectors continue to pour in and i m confident that the party in china will not stop. Chinese stock markets, already proven to “shake the world” , will be a permanent feature in the news. The question is: will it be good news…or bad?